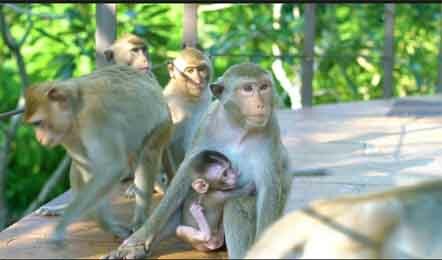 An initiative of Bringing back monkeys in forest. Love for nature sees no boundaries, no time shortage, no pre occupancies. This thought is apt for Chandigarh Administrator V.P Badnore. His immense love for nature made Chandigarh Environment department took this step. A step by which city would soon be free from Monkey fear. Every third day, Government institutes face the burn of Monkeys due to them institutes even have deputed langurs to get rid of them. After the suggestion of Environment lover His Excellency Badnore, Environment Department have started developing fruit bearing tree pockets within Kansal Forest. This is believed that if Monkeys going to get their fruits within jungle then they would not be entering in city in search of food. As Kansal Forest, Even Nepali and Sukhna Forest is also following the same rule of having fruit bearing trees pockets within forests. So that wildlife may have ample food within their livelihood. As per Department’s senior officers, they say that Governor is quite fond of nature and wildlife and often go their in forest for sudden checking. Well, it is beautiful when someone is thinking for speechless beings!! its amazing and worth applauding! !